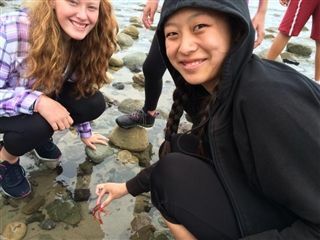 Pacific Ridge middle schoolers are busy exploring locales on both coasts of the United States this week. Seventh graders are studying field science at Nature Bridge in the Santa Monica mountains, learning how to make hypotheses about the area's ecology and back it up with data collected from the field. 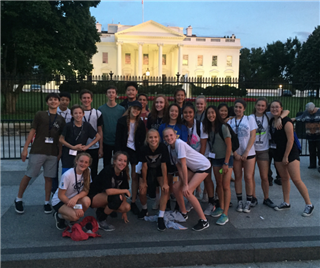 In Washington, D.C., eighth graders have explored the National Mall and taken an evening stroll to the White House; visited the Natural History Museum, Air and Space Museum, and Museum of American History; walked in the footsteps of George and Martha Washington at Mt. Vernon; spent an enlightening morning at the African American Civil War Museum; and learned about media's role in democracy at the Newseum.